It’s not often that we release podcasts in back-to-back weeks but we made an exception this time around for a very good reason. 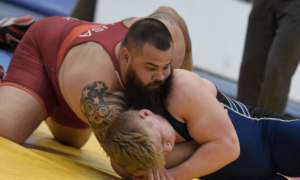 2016 Olympian Robby Smith (130 kg) and 2014 World Team member Joe Rau (87 kg) have just announced a career move that plenty of folks are already talking about. 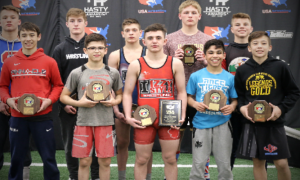 As per the expansive official release earlier today, Smith and Rau will be heading to the Chicago Regional Training Center on the campus of Northwestern University. 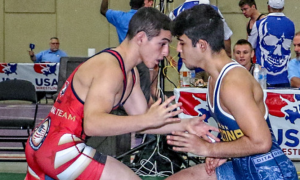 NU head coach Matt Storniolo, who also helms the CRTC, originally made contact with the Greco duo months ago to see if a change in training environments would be something they might consider. Now-former Minnesota Storm rep Rau hails from the Chicagoland area, and his desire to return home helped move the process along. 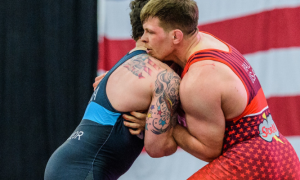 For his part, Smith was interested right from the beginning — though the offer from Storniolo that included a coaching role for the multi-time World Teamer could be credited with sealing the deal. 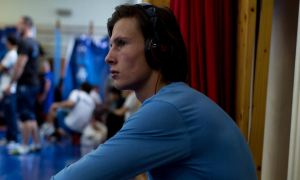 Throughout episode 19, Smith and Rau go into greater detail regarding the circumstances that led up to this decision. 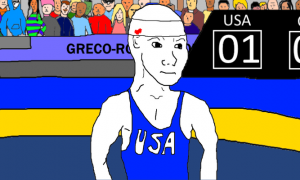 There are obvious histories both wrestlers have with their previous training centers and their departures have proved to elicit bittersweet feelings. Smith just entered his 13th year in Colorado Springs and he’s not only leaving, he is also bringing his fiancée Kelly with him, who has lived in the Springs all her life. Rau had only been with the Storm for five years, but he managed to forge several close relationships during his time in Minnesota, and it is that team in which he got his start on the Senior level. Other factors are acknowledged, as well. One topic of seeming importance that comes up in the podcast is freedom. Smith and Rau are used to having coaches and administrators to answer to when it comes to scheduling trips or competitions. 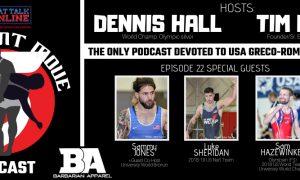 Because Storniolo believes that training, traveling, and competing are what the pair should be doing, the athletes now feel unencumbered as they continue to pursue their World and Olympic dreams. In addition, Smith also brings up how it is going to work regarding hosting coaches and training partners, along with what they have planned coming up on the horizon once the season begins.